We will discuss this classic and what makes Elizabeth Bennet have such an exceptional sense of self below in the Comments Section. I will post a few questions, and then YOU can also post questions of your own. We'll keep the discussion open all weekend, so you can pop in whenever you can and participate. Late Sunday I will close comments. 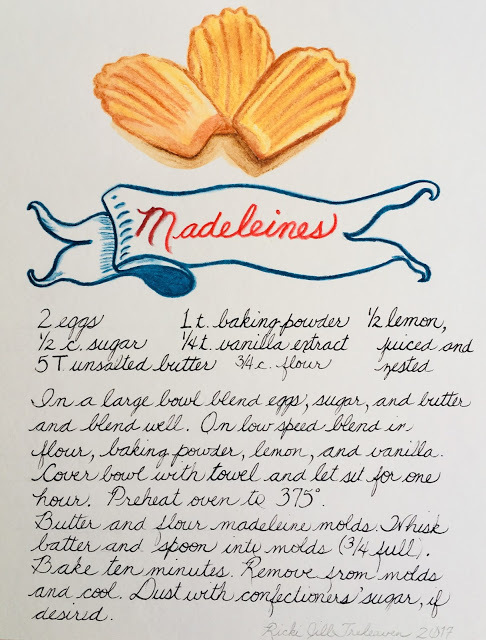 How many Madeleines would you like? Y'all....I must admit I enjoyed this beautiful edition of Pride and Prejudice so much. This book is so beautiful. The food photography by Bill Milne and the artistry of pastry chef extraordinaire Amber Spiegel make this book a literal feast for the eyes. Plus it's filled with some of Martha Stewart's best dessert recipes. I've already tried a couple: Cream Scones and Chocolate Shortbread Fingers. Next week I'll share a little post about them both. Amber Spiegel is known for her decorative sugar cookies. She teaches students all over the world how to decorate their own sugar cookie masterpieces. Amber created beautiful cookies that complemented the text throughout the book. 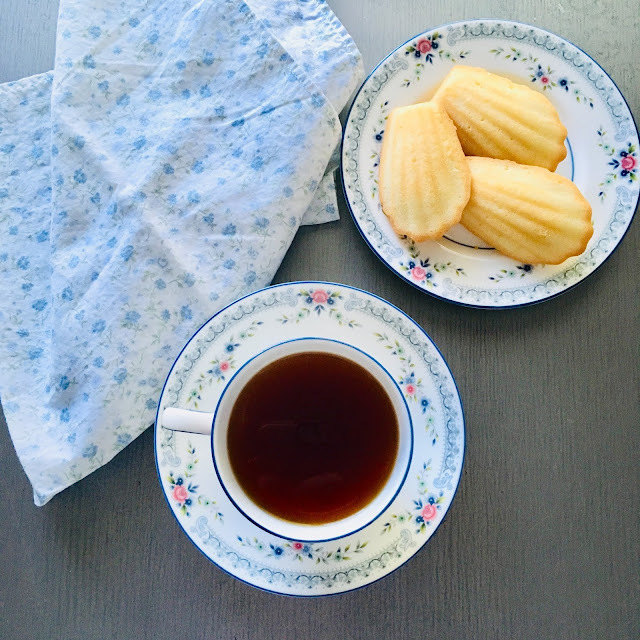 For example: some were iced with replicas of Longbourn, Rosings Park, and Pemberley. Almost every single page in the book has either icing or fondant creations. Some of my favorites are memorable quotes on cookies. If you love Pride and Prejudice, you deserve to purchase this Puffin Plated Book-to-Table Classic. It would make a fantastic gift, too! Thanks so much for "attending" our January Book Club "meeting." Remember to join-in on the discussion below! 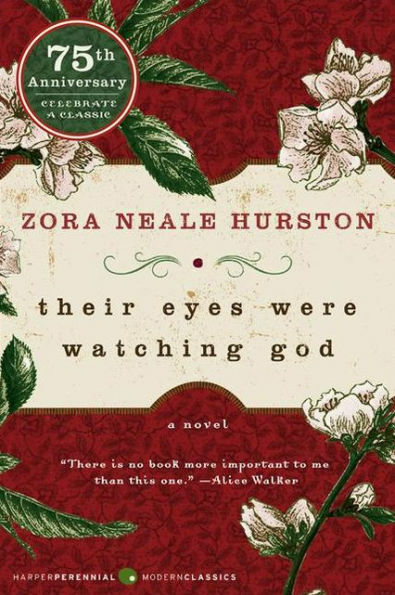 February's book club selection is Their Eyes Were Watching God by Zora Neale Hurston. 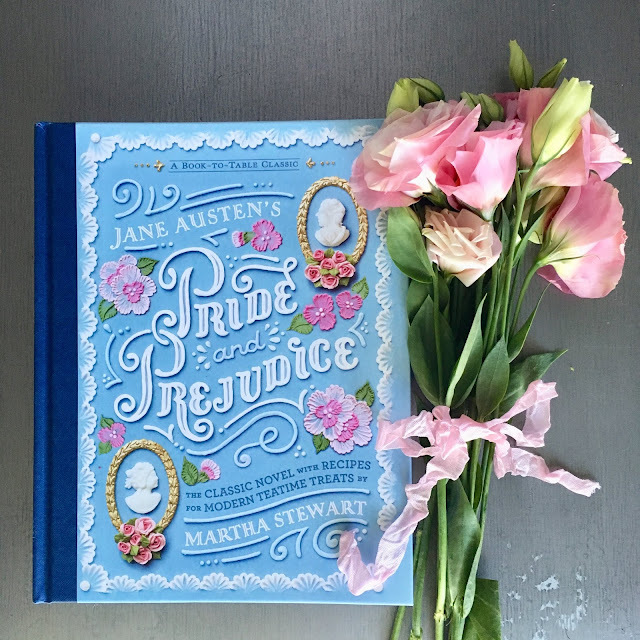 “It is a truth universally acknowledged, that a single man in possession of a good fortune, must be in want of a wife.” This is one of the most famous opening lines in the English language: How does it set the tone for Pride and Prejudice? What commentary does it make about women? How does Lizzy exhibit her sense of self in Pride and Prejudice? Name a couple of examples. This is one of the reasons this book is timeless because victimization is so commonplace these days...people always blaming others for their faults and/or failures. I confess I fell for Wickham until he didn't appear at Bingley's ball....that's when I knew that he lacked the courage to face Darcy. Darcy’s attraction to Elizabeth is obvious early on in the novel. Why is he so attracted to her? Because Lizzie didn't fawn over him like the other women did ~ she made very clear that she was her own woman, and that she would never kowtow to him as the others did. She asked for his respect, and in the end, she got it. These are all great answers. I do think it's because she didn't flirt with him like most women...yet also I think it's her grace when faced with so many awkward situations caused by her crazy family and Darcy's prejudiced inner circle. Does Elizabeth apply the same careful discernment to Wickham as she does to Darcy? Why or why not? Not at all! With Wickham, she is deceived by his pretty manners and attitude; whereas Darcy's cold manner sets her off. After Darcy’s insulting proposal and Lizzy’s scathing rejection of said proposal, Lizzy is shocked by Darcy’s follow-up “letter of explanation.” Lizzy now questions her prideful discernment and says, “Till this moment I have never known myself.” Do you think Lizzy and Darcy would have had a happy ending had she not come to this humbling realization? Su, I absolutely loved Emma for that very reason! I might make it a point to reread Emma this year, too! The love Elizabeth feels for Darcy evolves and deepens without any direct contact with Mr. Darcy. Can you pinpoint the moment she starts to fall for him? What do you make of this? I also think she is very intrigued once she sees Pemberley. I think the letter shows us how she's willing to self-reflect and admit when she's made a terrible mistake, and that maybe her discernment isn't what she thought it was! 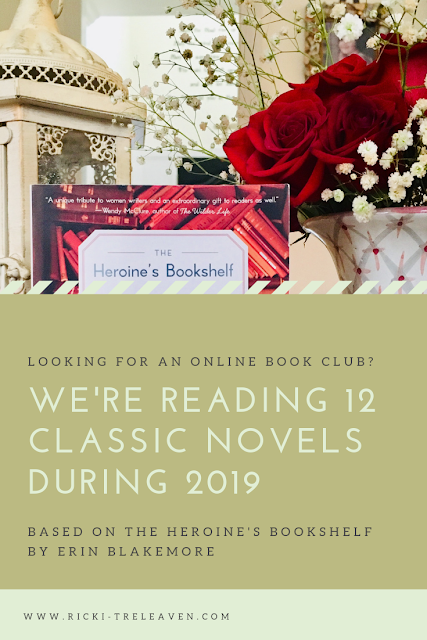 Erin Blakemore states in The Heroine’s Bookshelf that she likes to revisit her childhood heroines from literature during times of struggle, reading as if her “mental health depended on it.” Do you have a “comfort book” you enjoy rereading when life becomes overwhelming? Little women-my all time favorite-little house on the prairie-and actually Shakespeare as I loved teaching the bard! I do. It's the Chronicles of Narnia. Y'all picked some great ones....I usually pick-up one of my favorite Lynn Kurland books....She writes clean romances, but don't let that turn you off....she can write the most amazing stories! I just ordered the book to give my daughter-in-law for Valentine's Day. Their wedding had a book theme - the invitations looked like the cards you sign when you check out a book. The tables were given a book title rather than a number- my son and his wife chose their favorite books and they had multiple copies of the books at each table. Our family sat at The BFG (my son's pick) and the bridal party sat at Pride and Prejudice. The Roald Dahl book??? How AH-dorable. I think that's a darling theme for a wedding (of course I would!) Your DIL will absolutely love this book. :D Thanks for stopping by!!! Re: "comfort" books ~ oh, heck Yeah!!! Just about anything by Rosamunde Pilcher! Her writings draw me in to a whole other world tht completely blanks out the rest of the our crazy world! More on Elizabeth later... great questions you've asked! Yes! I love her books....one of my favorites is September! I love Lynn Kurland's books. She's probably my go-to writer. Thanks so much for participating in the discussion! Well. At this rate, I don't think I could answer all the questions. haha It takes me too long. Here's my thoughts on the first one. In my opinion, the novel’s opening statement is a humorous jab that unfurls as a social commentary on the status of marriage among the middle class of England during the late18th and early 19th century. 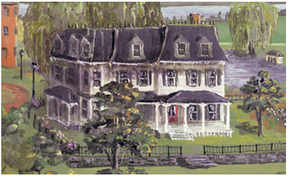 It is mostly from the women’s perspective yet, sometimes from a male’s perspective for example, Mr. Bennett asks, “is that his design in settling here?” As the novel unfolds, Jane Austen through characterization shows there are reasons to marry: money, maintain or improve social standing, love and mutual attraction, and security. It also speaks to the time and place in which they lived. 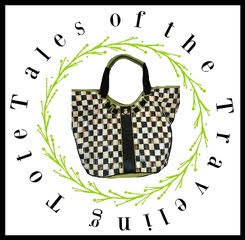 In England entailment existed, so property was inherited by the male of the family. If there were no sons, it would bypass the females and pass to the closest male in the family (Mr. Collins). Consequently, women could marry for convenience to keep a property within the family so that the unmarried females of a family could be cared for in the event of the death of the property owner. I know! There are so many ironies with the Bennet Family and the entailment! What are the odds that all FIVE children would be daughters? Plus the Napoleonic Wars reduced the number of eligible men, and the Bennets rarely traveled to London so the girls' society was limited. Teaching was out of the question for the daughters because their education had been so neglected. That's a great point. Women did not have a lot of options. They could have been teachers, but teachers lived as governess and that position did not make finding a husband easy. Primarily marriage was the key to security, and there were various reasons to "settle" like Charlotte choosing that buffoon Collins to make a home. Women can be considered property! However when Austen wrote this book, the situation for men and women was just that! Women needed husbands to be complete! The line made it obvious to the reader-and I have read the book many times-what would be forthcoming in the story! I love this author but she uses the word very way too much! Yes, she does...along with vexed and vexation... ;P It's interesting that I always focus on something different each time I read this book, and this time it was the differences between the Bennet sisters. What a problem for the sisters to be in a family where their wealth is wrapped up in an entailment! Marriage was their only hope because they certainly couldn't teach. I'm happy our girls have other options!!! What a gorgeous book. And it was one of my favorites. I need to read it again, especially that edition! Have a great weekend, Ricki Jill. 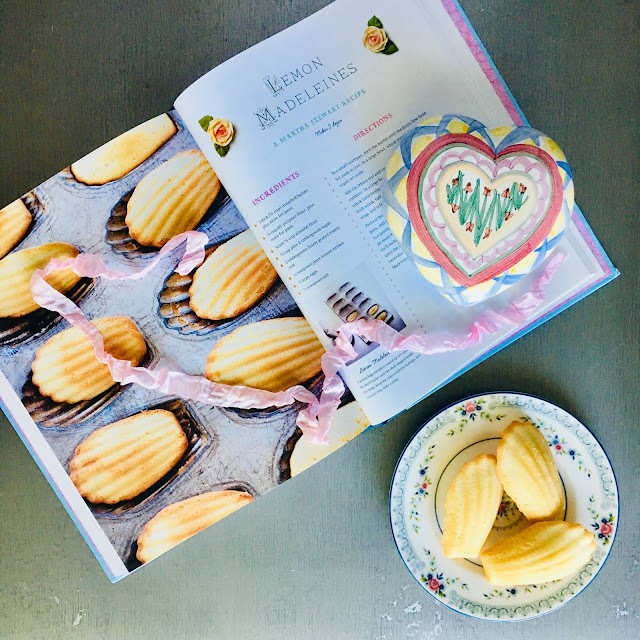 If you enjoy beautiful food photography with classic Martha Stewart recipes, you should LOVE this edition! I had my boys read P&P last year for school. We all had a good conversation about Elizabeth's mother! and father. I bet your sweet sons are mini Mr. Darcys. I think it's great that they think his character is fantastic. I love it! I identified at least 28 times in the book where Liz thought/stood up for herself ~ my all time favorite is when she told Lady Catherine De Burgh, so politely, to go to hell!!! Yes, she did! And I loved how she handles that situation with Lady Catherine. I also love how Elizabeth reflects with contrition when she takes things too far....for example her speech to Darcy after his first proposal. This does sound like a wonderful edition. It's been ages since I read this, though I did see a stage production last year that was quite entertaining. enjoy your weekend! The book sounds so beautiful! I am not reading along but enjoying reading your questions and commentary!